A storm-free August in the Atlantic was probably too much to ask for. Tropical Storm Danny formed out of a cluster of thunderstorms Tuesday about 1,600 miles (2,600 kilometers) east of the Windward Islands. There’s even a chance it could become a hurricane by Thursday, said the National Hurricane Center in Miami. “Meh, it has a couple of days to strengthen before it meets the guillotine in the form of strong shear,” said Todd Crawford, meteorologist with WSI in Andover, Massachusetts. The wind shear, which can rip a storm apart, is out by the Windward Islands, said Paul Walker, a meteorologist at AccuWeather Inc. in State College, Pennsylvania. The Windward and Leeward islands form an arc across the Atlantic, acting as a boundary between the eastern Caribbean and the high seas. The more immediate hazard to storm growth is a cradle of dry air that appears in satellite photos to be escorting the system through the Atlantic. The initial hurricane center analysis projected the storm’s top winds could reach 100 miles (161 kilometers) per hour, which would make it a Category 2 storm on the five-step Saffir-Simpson scale. This is the time of year when the Atlantic starts to stir. Typically, the biggest, most powerful storms of any hurricane season get going from about Aug. 20 to the end of September or even into October. That’s in a typical year. This year is a bit different. First off, there’s an El Nino in the equatorial Pacific Ocean, which can actually create wind shear across the Atlantic. Then there has been a lot of dust and dry air from the Sahara in Africa. The shear and the dryness have the same effect on hurricanes as adding sawdust to cake batter. It’s not totally inhospitable in the Atlantic, however. Water temperatures in central part of the ocean are about 82 degrees Fahrenheit (28 Celsius), Walker said. That’s conducive to storm formation. “It is plenty warm,” he said. 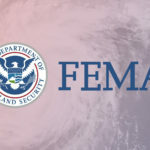 While even a bad storm bearing down on the islands, which include St. Lucia, Martinique, and Grenada, may be enough to end vacation plans for visitors, residents themselves could probably use the rain, sans the high winds and raging surf, Walker said. Many of the islands are experiencing drought. About 64 percent of Puerto Rico is gripped by some level of dryness, according to the U.S. Drought Monitor in Lincoln, Nebraska. Of course, the whole thing could fall apart in a few days, and the quiet August in the Atlantic could keep rolling leisurely along. Enlightening! I have my answer!